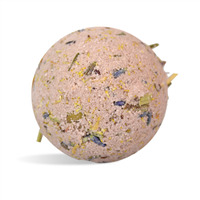 Give Mom the perfect gift for Mother's Day - a handmade bath fizzy complete with roses. 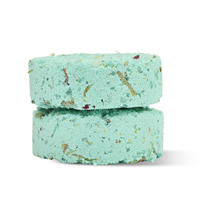 These bath fizzies are perfect for spring. These fizzies are a soft yellow color with red buds and leaves from roses. 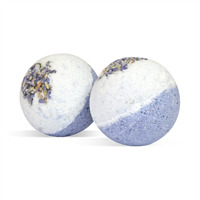 They are fragranced with Beautiful Day Type Fragrance Oil, a calming blend of sliced apple, ripe pears, bright wildflowers and blonde woods. Moms will love them for Mother's Day. You Save $18.26 by purchasing this kit rather than buying the items separately. "Wow!!! Perfect and so easy!!!" COMMENTS: me and my 6 year old love making bath bombs. we've experimented with a few kits from toy stores which cost a little less than this kit, but those only made 6, and this kit made 10!!! Let me tell you, this kits from wholesalesuppliesplus was MUCH MUCH better quality than the one from the toy store. The instructions are practically fool proof. It included better quality ingredients, with the added shea and clay. The ones we bought from the toy store didn't turn out. we thought we followed the instructions but it ended up expanding and fizzing before it even dried. THIS kit did not, the measurements were persice - the "dough" formed perfectly and set up perfectly in the cute little heart molds. We added a touch of sparkle for some glam!! SO WORTH IT. COMMENTS: I am new to the homemade bath & body world so I needed a little help :) Not only was this kit inexpensive, easy to use with all the equipment needed you don't have at home, but the end result was an amazingly scented, beautiful product! I gave some away and sold the rest and the reviews have been great! Love this company! COMMENTS: I was having such a hard time with bath fizzies. This kit really help me understand how to blend the ingredients. It is a really great kit everything blends together so well especially the fragrance. Wow,I use this recipe over and over it is so easy so succinct and it comes out perfect every time. COMMENTS: This kit/recipe is very easy to make and looks great when you are finished. You make 6 at a time and I did 6 pink with the kit also. Just used some of the bath bomb powder I had already. Packaged these in a Crafters Choice™ Shrink Wrap Flat Bags - 4 x 6. Ready to give as gifts. Wonderful item. • Very nice when done, great gift idea. COMMENTS: At first it looked a little confusing, but after I got everything out and ready it was very easy to make. "Which of your tea bags will be the best size for these fizzies?" 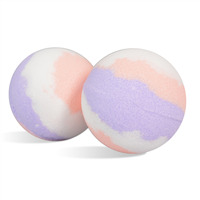 Staff Answer Since these bath fizzies measure 2.75 x 2.75 x 1.75 they will not fit in our 2.5 x 2.5 bags. You could test the 5 x 3.75 and see if they meet your desired look. "After I unmolded the fizzes and set them to dry for the next hour, they started to spread out. I put them in ziplock bags and they harden, but they are twice the size that they were. Are they still okay to use? Does that indicate too much alcohol? Thanks." Yes, that indicates they were too wet, so the reaction between the citric acid and baking soda started. Next time, you need to use less liquid... Just enough to make them hold together. You can still use them, but you won't really get much fizzy effect. 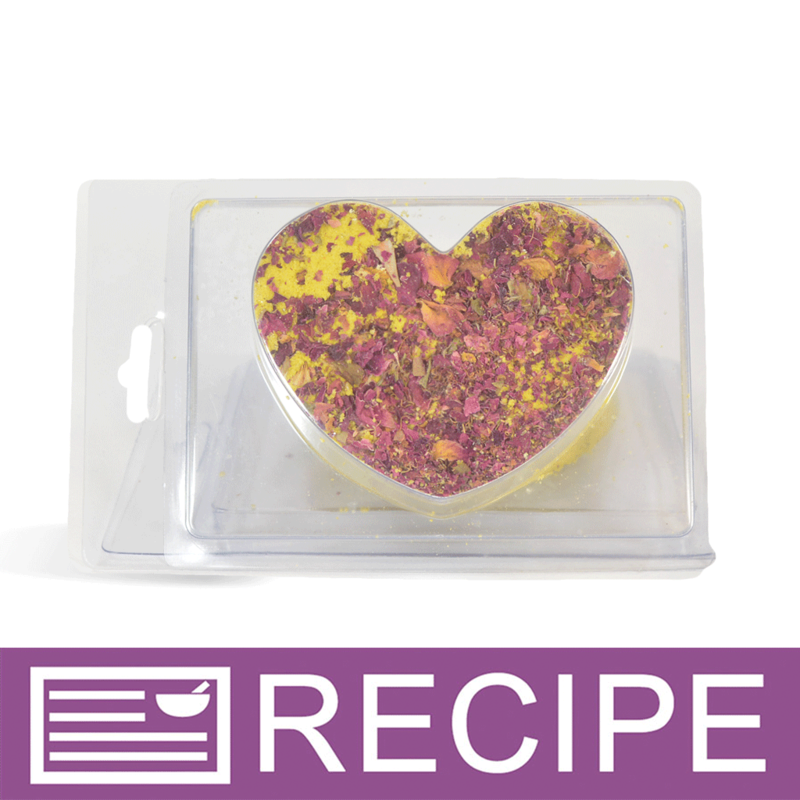 "I love rose petals, can I put in more than the recipe? For instance, can I put in 2-3x the amount?" "What happens if I put too much alcohol in it?" Too much alcohol can make the mixture too weight and can "set off" the fizzing. When the mixture is like dampened sand and can hold together when you squeeze it in one hand, it's wet enough. "Will the rose petals float in the water?" From experience, most botanicals will float in the water, unless they are larger pieces (such as buds) which sometimes sink after a while.